In today’s economy, 75% of retirement age Americans have less than $30,000 saved and one in six older Americans live on less than $22,500 a year. So how can you avoid falling into either of those buckets. 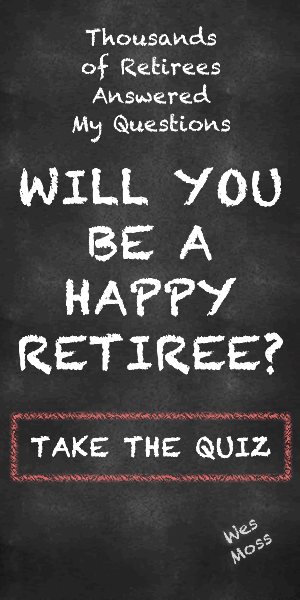 In a recent interview with Mainstreet, Wes Moss shared some of the results from his study on how some retirees are exiting the workforce with a strong nest egg and are retiring “happy”. “Happy retirees typically budget 30% of their gross income for taxes, 20% for savings and 50% for living life, which encompasses all spending,” Moss told MainStreet. 1. Earn roughly $98,000 during their peak earning years, which is above average income during their working life. 2. Spend at least five hours a year on their retirement planning. 3. Most commonly own Asian-made cars such as Toyota, Lexus, Nissan and Hyundai, which are paid for in retirement by Social Security income from both spouses, pension money from at least one spouse and part time work. Read more about building a strong nest egg and retiring happy in the original article on The Street. Previous ArticleMoney Matters with Wes Moss | July 6, 2014 Hour 1Next ArticleWes Moss: What’s the UBER Economy?